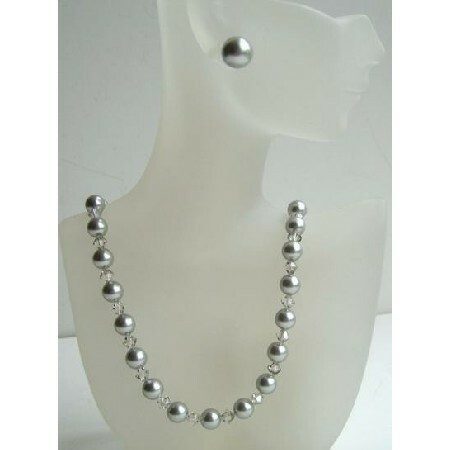 Our Crystals & Pearls Necklace & earring Set will look great at the wedding & will be a stylish accessory for many years after. Swarovski Grey Pearls with Swarovski Clear Crystals 4mm Bicone all A Grade & Material are used to make this beautiful & dramatically elegant & appropriate for brides members of the bridal party & guests. Handmade Exquisite Necklace All A Grade & Swarovski Crystals Material are used to make this beautiful Necklace & Pearls stud earrings.